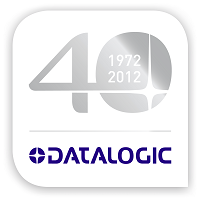 Datalogic is Now 40 Years Old! Datalogic is celebrating its 40th birthday. Thanks to Romano Volta’s vision and initiative, this small Auto-ID company that started out in a church rectory on the outskirts of Bologna, Italy, in 1972, is now a colossus with over 2,400 employees in 30 countries, more than 1,000 patents and a partner network that reaches every corner of the world. This milestone was reached thanks to Datalogic’s constant commitment to delivering world-class, reliable and innovative solutions, which – over the past four decades – has led the company to the status it enjoys today as a global expert in Automatic Identification technology. “The key to our overall success and optimum sales growth year-on-year has first and foremost been our reputation for knowing our customers and understanding their needs,” stated Mauro Sacchetto, Datalogic Group’s CEO. With a wide range of products from handheld scanners, mobile computers, and fixed readers, Datalogic has devices for any application. Microscan announcd that its C-mount design QX Hawk barcode imager has won a 2012 Ringier Technology Innovation Award in the Packaging Industry category. Microscan’s Weijiang Song accepted the award during a ceremony in Shanghai. This event was coorganized by Ringier Trade Media and its magazine International Packaging News for China, together with ProPak China 2012. Following a strict selection process by an independent judge panel, with reference to online voting results, 21 winning companies were selected for their innovative products and technologies across 5 categories, including Package Converting, Packaging Application, Packaging Materials, Package Printing and Green Packaging. The overall aim of the award is to commend the contributions of companies promoting the development of packaging industry. Cognex Corporation, the global leader in industrial ID, today announced the addition of liquid lens optics for the DataMan 300 series of fixed-mount barcode readers. 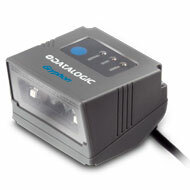 The new accessory allows any DataMan 300 reader to be easily upgraded from fixed focus to autofocus. Liquid lens variable autofocus technology is ideal for applications that require a large depth of field or when refocusing is needed after a product changeover. The DataMan 300 intelligent tuning feature automatically selects the optimum settings for the integrated lighting and for the autofocus optics for each application. This tuning process ensures that the barcode reader will be set up to attain the highest read rates possible for 1-D, 2-D and direct part marked (DPM) codes. The liquid lens can also be adjusted with software or serial commands without having to touch the reader.